Its time for another Blog Hop with my Fancy Friends and Folds :) so thank you for joining me !!! 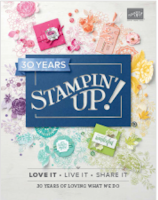 Have you seen the New Seasonal Catalogue from Stampin'Up! ?? 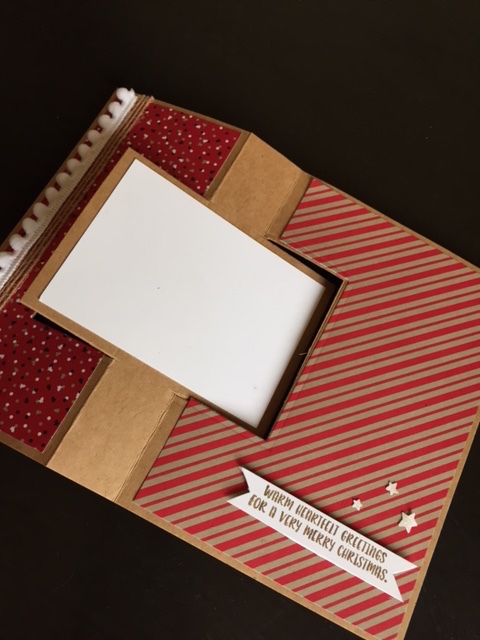 Tons of gorgeous products and for today's Flip Card I chose undoubtedly the most popular product bundle of them all Cookie Cutter paired with the Candy Cane Lane designer papers. My base is made out of Kraft Cardstock and I've used the Layering Square Framelits to create the flip side. The cute pom pom trim reminded me of piped frosting and adds some more dimension and texture. 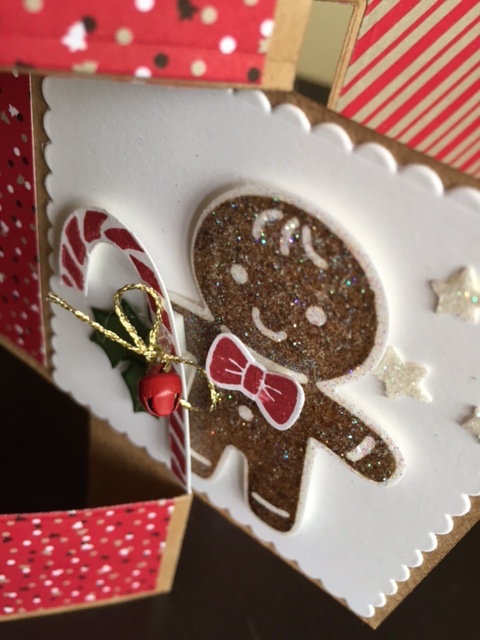 This little cutie has been stamped in Soft Suede ink then sugared in yummy iridesscent embossing powder, made your own by combining equal amounts of clear embossing powder and dazzling diamonds glitter. And I kept the back blank so that you could add your message but that could have easily been decorated as there's plenty of room for message on the back of the card itself. What do you think? I hope you enjoyed my offering now let's hop to lovely Tanja next and see what delight has she prepared for us today. I LOVE your card Monica, it´s SO cute. Amazing as always and thank you for the tip about making your own Iridescent Ice Embossing Powder! 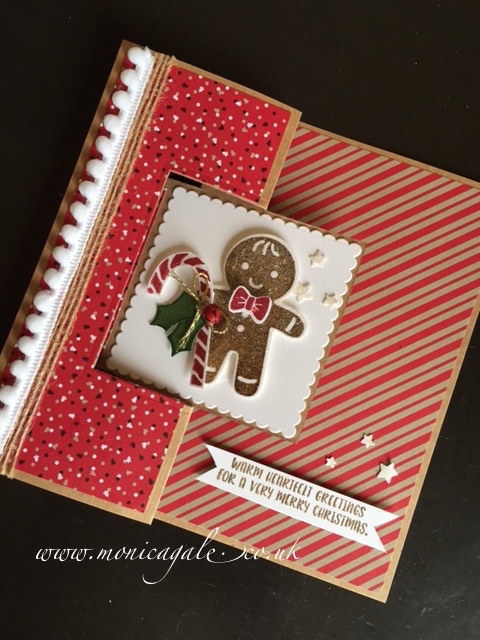 I love everything about this card Monica! Wow!! 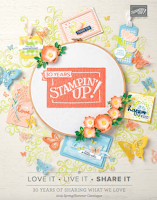 The layers, the stamp set, the pom-pom ribbon and the colours are to die for. 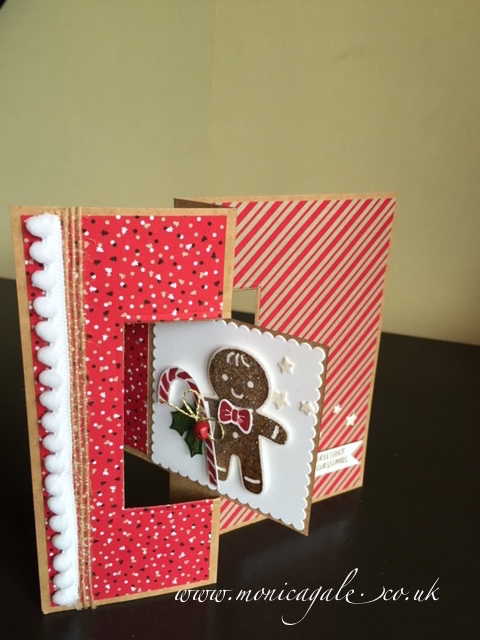 . .
Wowza Monica :-) loving all the layers and textures on your card, it is gorgeous. So very very cute. Love those papers.